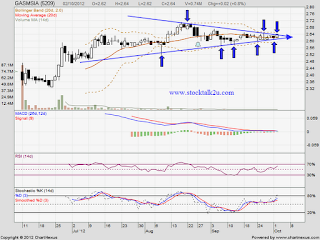 GASMSIA (5209) forming symmetrical triangle pattern? Will it break through upper triangle resistance? Immediate support @ MA20 / MA50. Immediate resistance @ upper triangle line. Once it break through resistance, another wave of uptrend will continue. 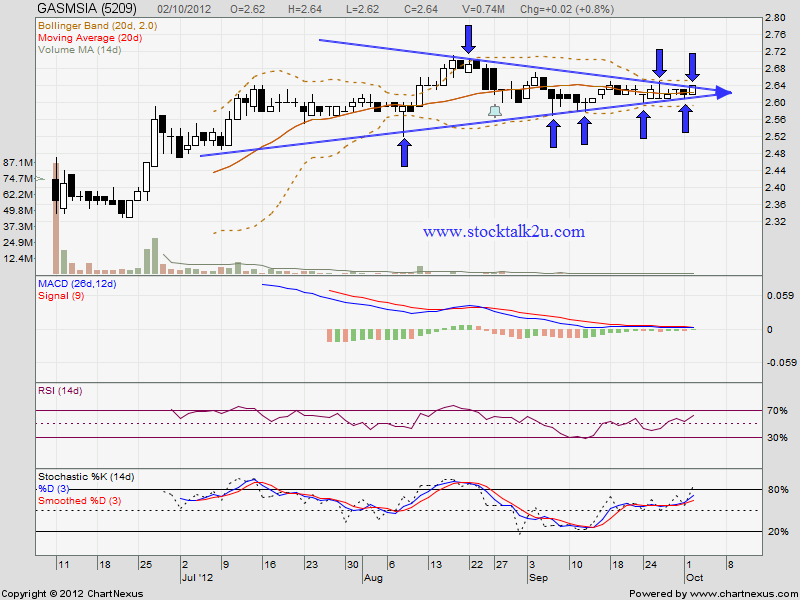 However, if break down the support level, might facing selling pressure.